Armenia view Mt. Ararat, the site where Noah’s Ark landed, according to Genesis 8:4. 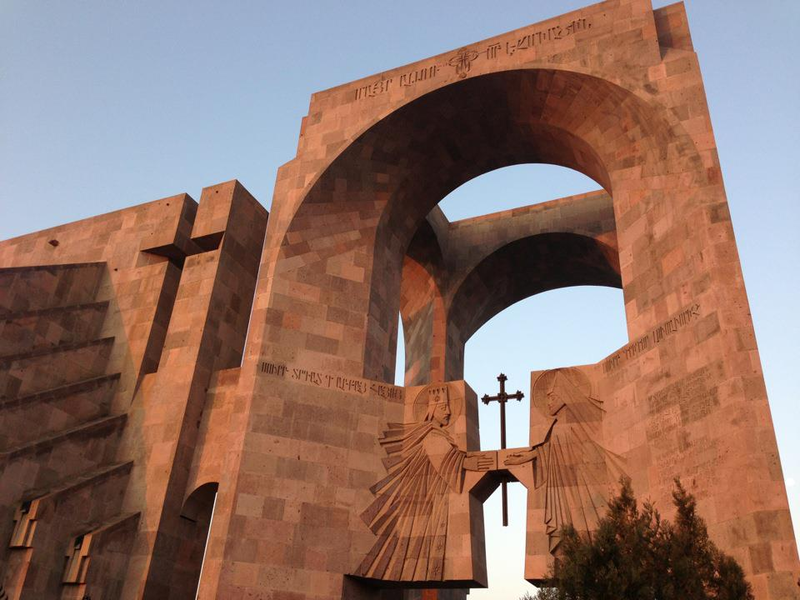 In addition, Armenia has the distinction of being the first country to adopt the Christian faith (301 A.D.) and being evangelized by two of Jesus’ apostles (Bartholomew and Thaddeus). The landscape is dotted with ancient churches and monasteries. Armenia may not currently be a top of tourist destination due to the challenge of getting there, but my experience is there is a lot of hidden gems and may be one of the top emerging religious tourist destination yet to be discovered, it’s off the radar for most. It’s definitely an ancient kingdom that has been passed from empire to empire until it gained it’s independence from the Soviet Union. Since that time it’s had a hard time with a couple of it’s neighbors. There’s some disputed Territory that was a gift from Stalin to Azerbaijan and another to Turkey. The Turkish relationship isn’t as strained it appears, but the Azerbaijani relationship is still strained with land disputes. 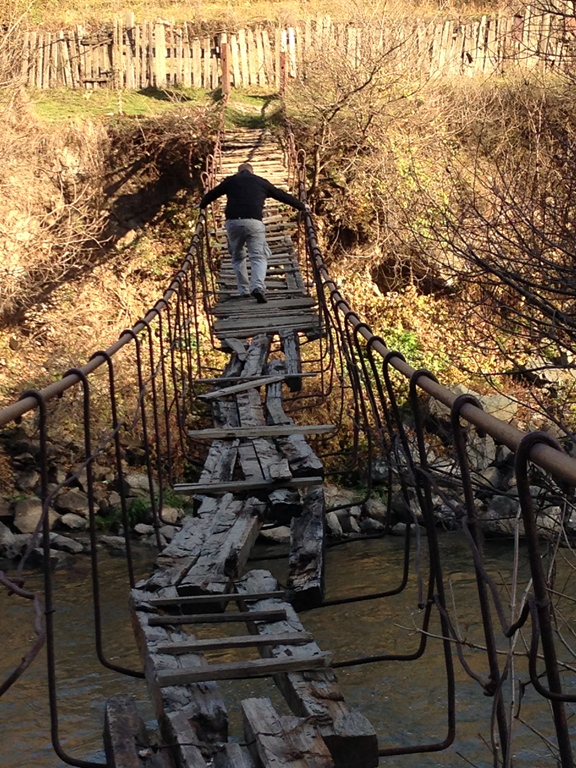 There are some amazing destinations in Armenia. The history of Armenia is fascinating. I do think it’s worth visiting and not one to overlook in your visit to the former soviet union and in your visit to the Caucuses. You really have to plan your routes through this region of the world. For example simply flying into Armenia is a challenge. We found getting from Georgia to Armenia was a great way of seeing the region and there were many more flight options into Tbilisi such as through Istanbul (one of my favorite cities for extended layovers). Both Georgia and Armenia are Christian nations. 1. 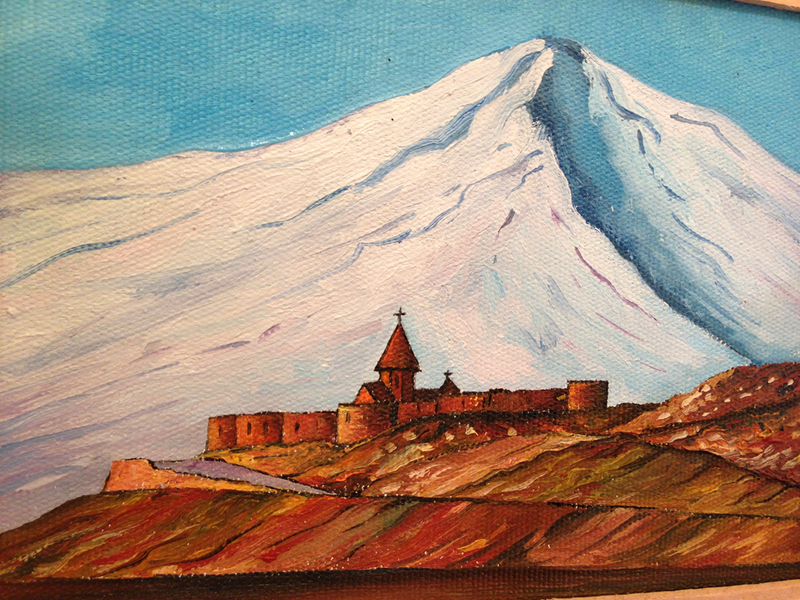 Where Noah landed the Ark – Mt Ararat viewing from Khor Virap Monastery – The Khor Virap Monastery is a 17th century Church provides a spectacular and majestic view of Mount Ararat and one of the most visited church and tourist spot of Armenia. Saint Gregory was imprisoned in a pit for 13 years and as the story goes came out and the miracle of surviving this pit resulted in a conversion of the King and further prostylting led to the country converting to Christianity in 301 AD. 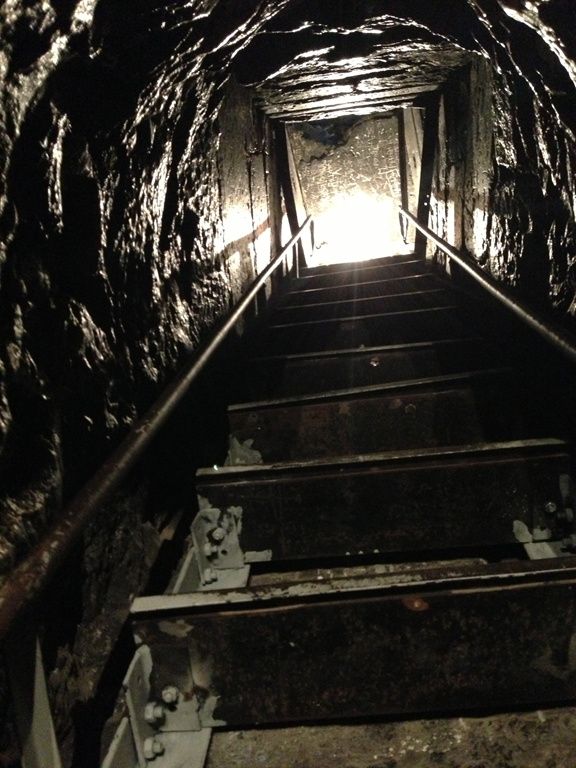 The Pit – Climbing down these steps is a freaky experience. It feels like the latter isn’t straight up and down. It feels like you’re leaning backward. 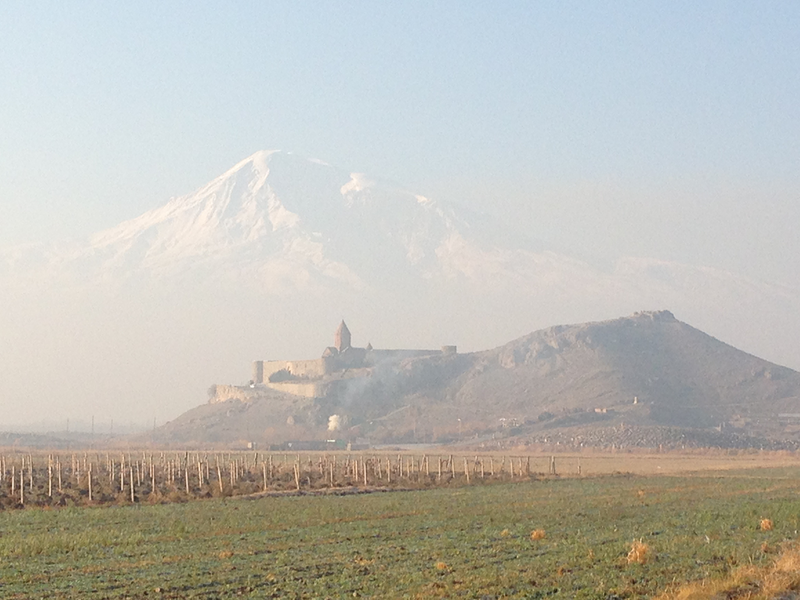 Khor Virap Monestary with the Bible famous Mt Ararat in the Background. There were some farmers burning their fields that day, so the mountain isn’t as looming in this photo. 2. 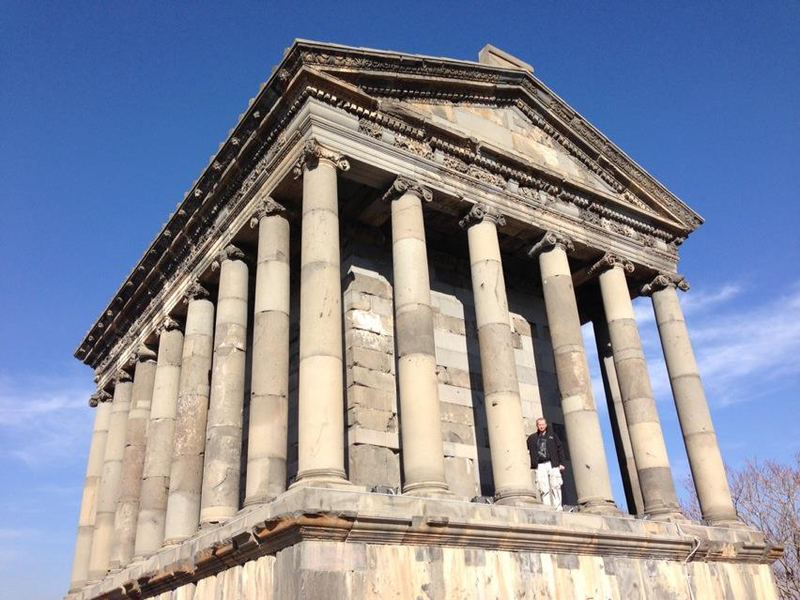 Garni Temple – The oldest and best preserved Pagan temple in the world. This building plays a significant role in the establishment of Armenia as a country and hence has been preserved where a lot of pagan temples around the world were destroyed with the rise of Islam and Christianity. The nearly 2000 year old temple has some older structures around it including some interesting mosaics and likely one of the most incredible views of river valley which remind me of the Ihlara Valley in Turkey and have similar looking basalt columns of the Giants causeway of Ireland. 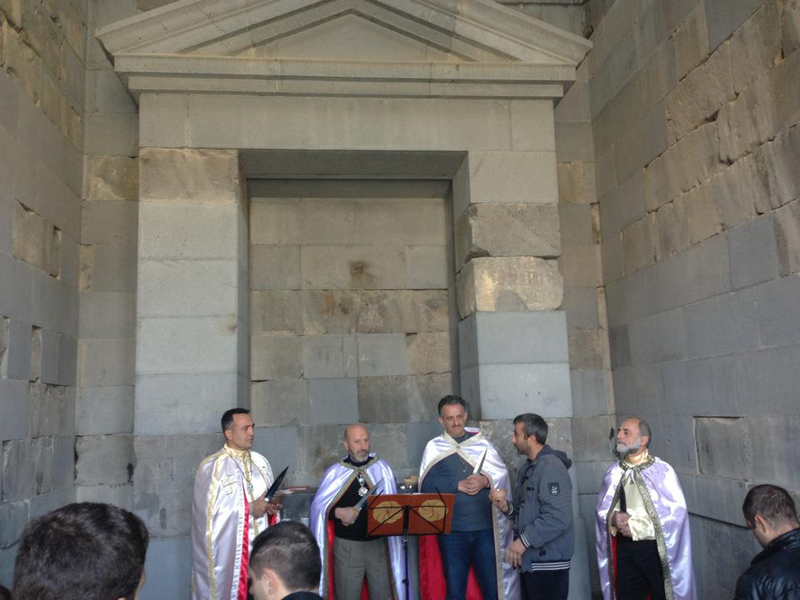 While we were there, some pagans were holding a ritual for one of their members who was off to join the military. 3. 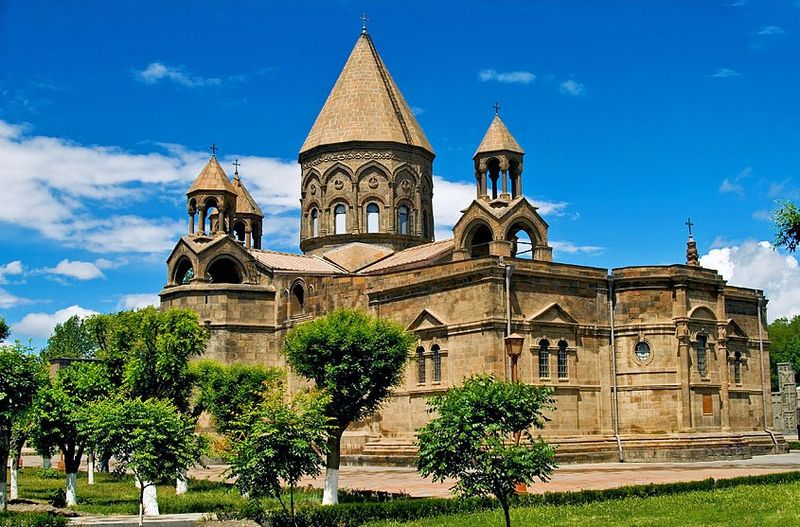 Etchmiadzin Cathedral is the oldest state-built church in the world. While meditating in the old capital city of Vagharshapat, Gregory had a vision of Christ’s coming to the earth to strike it with a hammer. From the spot rose a great Christian temple with a huge cross. 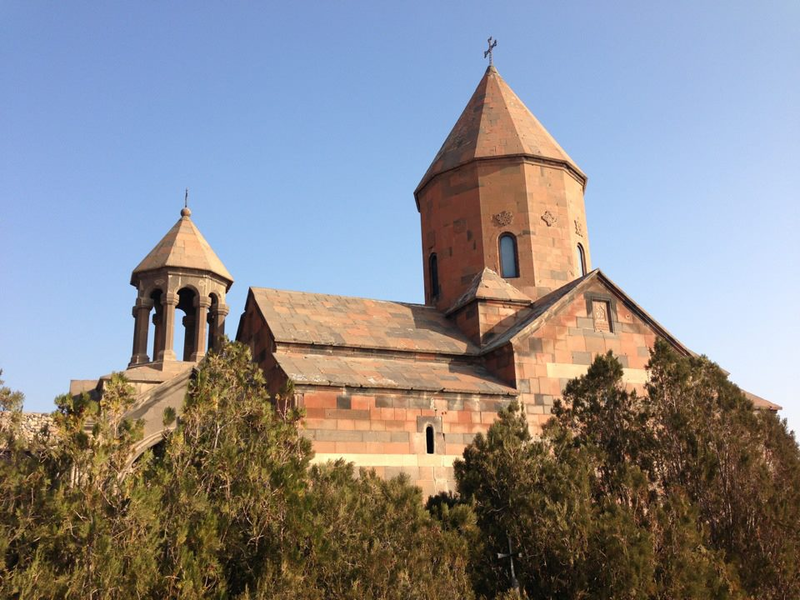 He was convinced that God intended him to build the main Armenian church there. 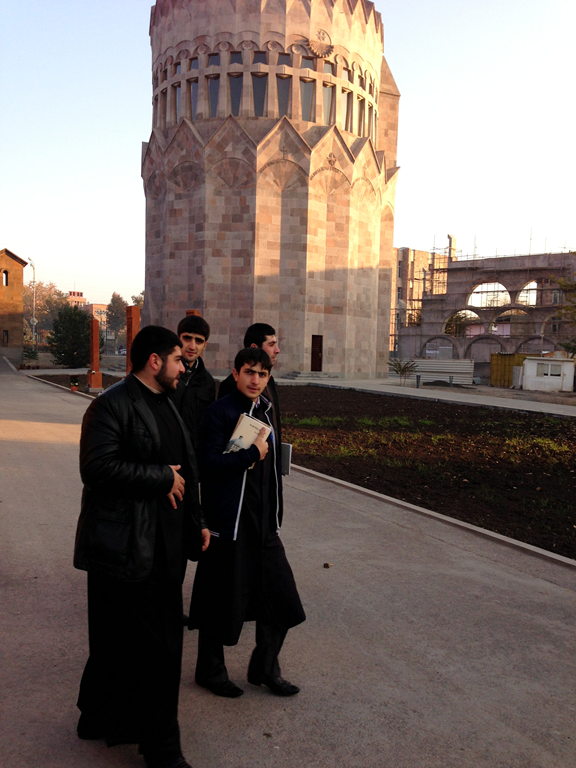 The Etchmiadzin Cathedral is the oldest state-built church in the world. The original vaulted basilica was built in 301-303 by Saint Gregory the Illuminator with the Kings help when Armenia became the first officially Christian country in the world.He renamed the city Etchmiadzin, which means “the place of the descent of the only-begotten.” This UNESCO herritage site is a 4th Century church with a rich history of the Christian nation of Armenia. There was construction going on on the turrets while I was there so my photo didn’t turn out this great. The church is part of a greater complex of religious buildings including religious seminaries. 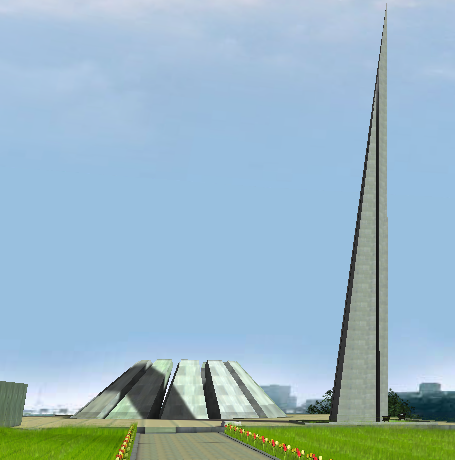 Right near the national stadium is the Genocide memorial with an eternal flame and a pillar pointing toward heaven. My friend Marvel told us stories of his families making the experience very personal. The Government of the Ottoman Empire ordered the destruction of Armenians in Anatolia (Eastern Turkey) in an organized expulsion and extermination of Armenians. Women, children and elderly were from February 1915 sent on death marches towards the Syrian desert. Some 1 million to 1.5 million died. Apparently there is controversy in the use of the term “genocide” as Turkey and Azerbaijan choose to say these events were part of the war. It’s very sad. 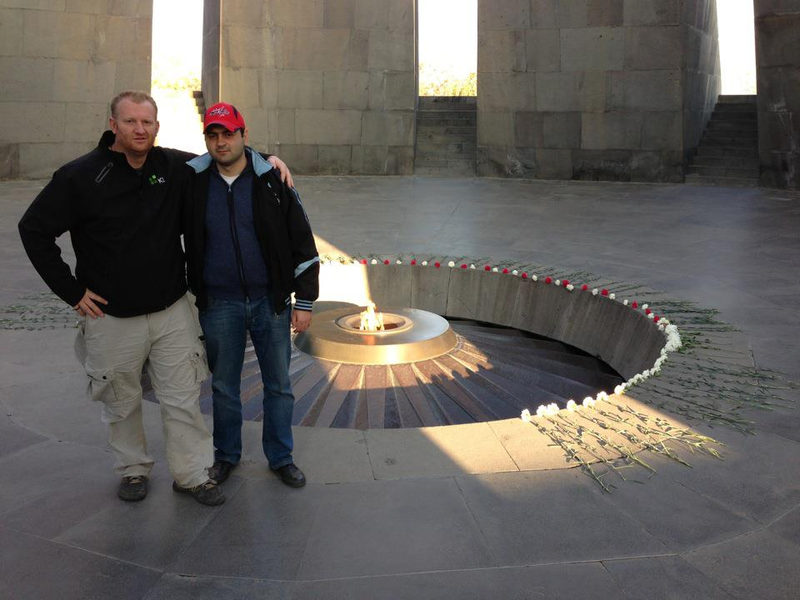 Armenian Genocide Memorial 1915-1922, the flowers pile up in a circle around the flame. 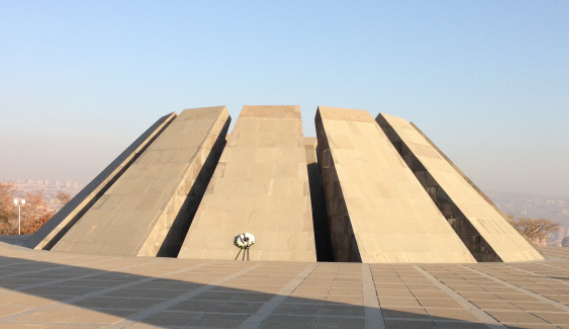 Online there’s a 3-D video of the Armenian Genocide complex including the ability to place flowers. 5. 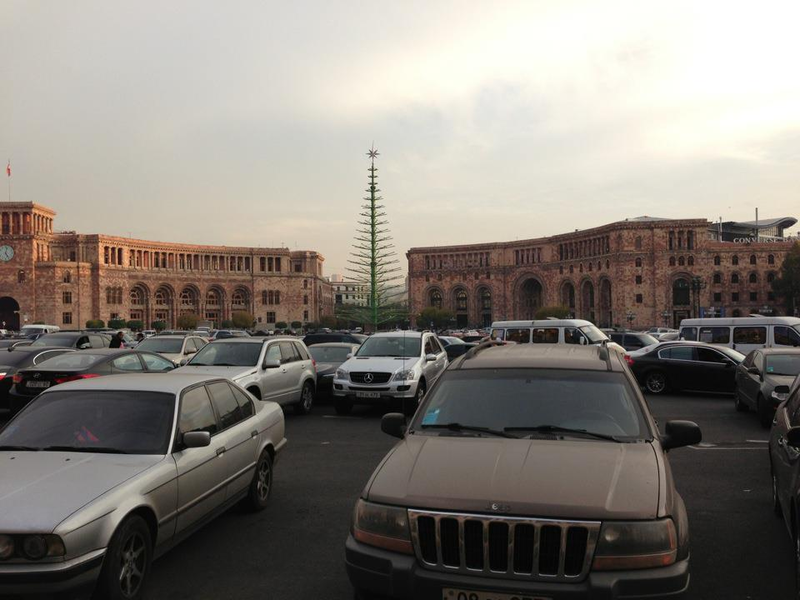 Yerevan Republic Square – The Republic Square is the place where ceremonies and meetings are held. The statue of Lenin used to be located in the southern forehead of the square, but when Armenia regained its independence, the statue was brought down. Now you’ll find dancing fountains in the summer. The National Gallery and the History Museum building (north). The Ministry of Territorial Administration (north-east). The Government House: holds the main offices of the Government of Armenia (north-east). The Central post-office of the Republic of Armenia (south-east). The “Mariott Armenia” hotel (south-west). The Ministry of Foreign Affairs (north-west). The Ministry of Energy and Natural Resources (north-west). 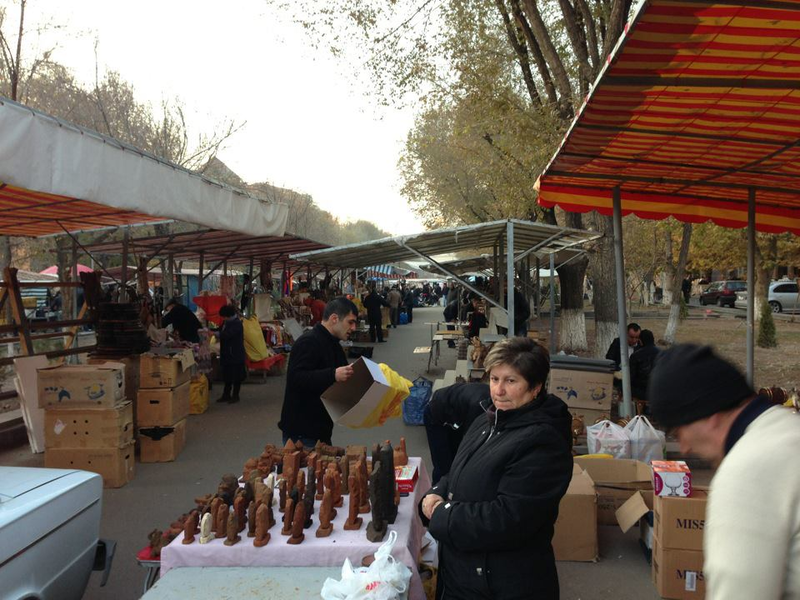 Vernisaj Market in Yerevan, this is a must see on the weekends. Lots of fun things for travelers. Lots of crafts involving Noah and the local landscapes. 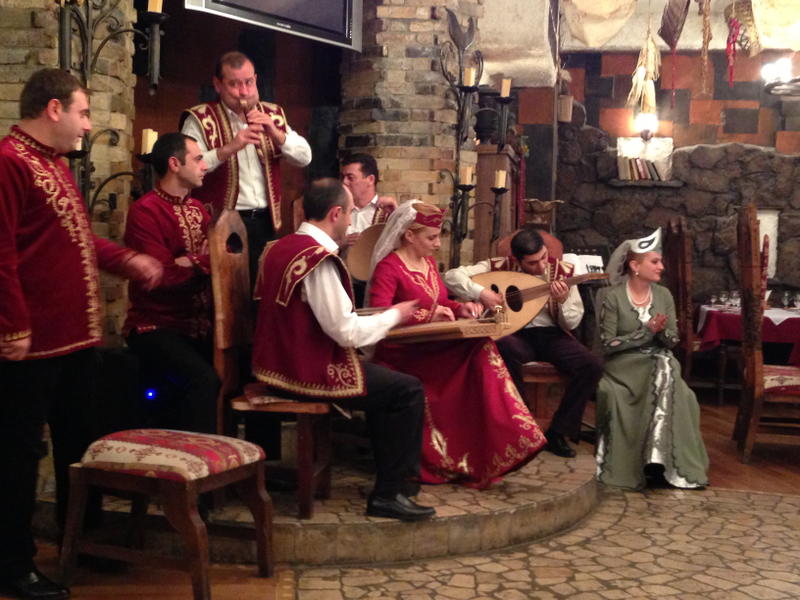 This is the Old Yerevan Restaurant Band. There were tons of fun. Lots of great food to eat. The food was one of my favorite things about Armenia. Lots of great food.